Frame sizes 110 and 90 feature a cast-iron housing cast enbloc, whereas smaller sizes use die-cast aluminium housings. The worms shaft is manufactured from case hardened and haardened allow steel and ground-finished. The worm wheel has a cast iron hub with a cast bronze inset. 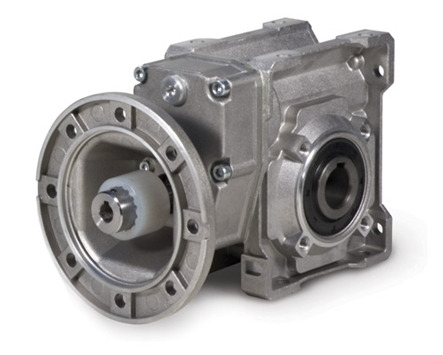 Hollow output shaft is supplied as standard.